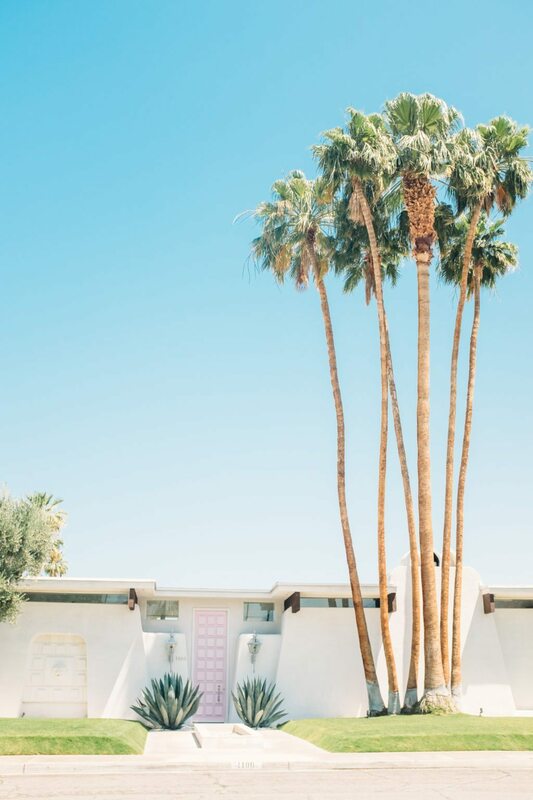 On our last morning in California, Jaclyn and I informed our significant others that we would not be leaving Palm Springs until we took pictures in front of That Pink Door. 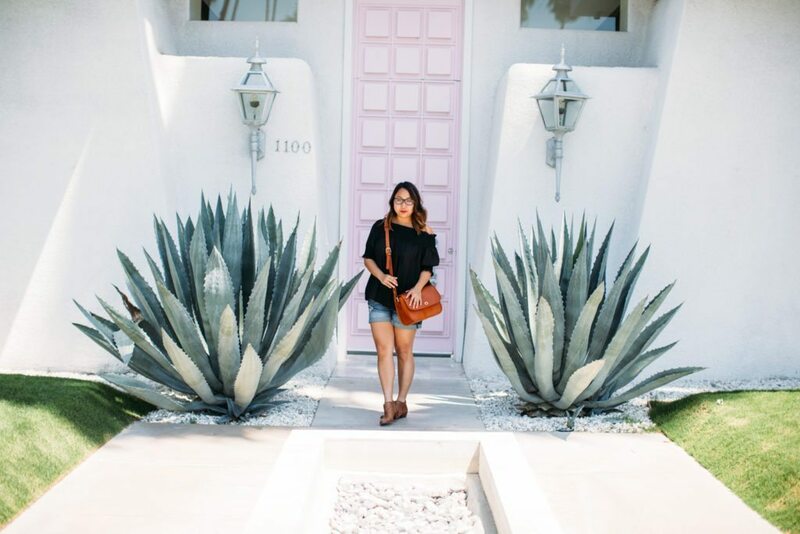 They looked at us with blank stares, not understanding why it would be so important to stand in front of a stranger’s house and take outfit photos… especially when we had a limited amount of time left during our trip, and plenty of other sights we hadn’t yet seen. 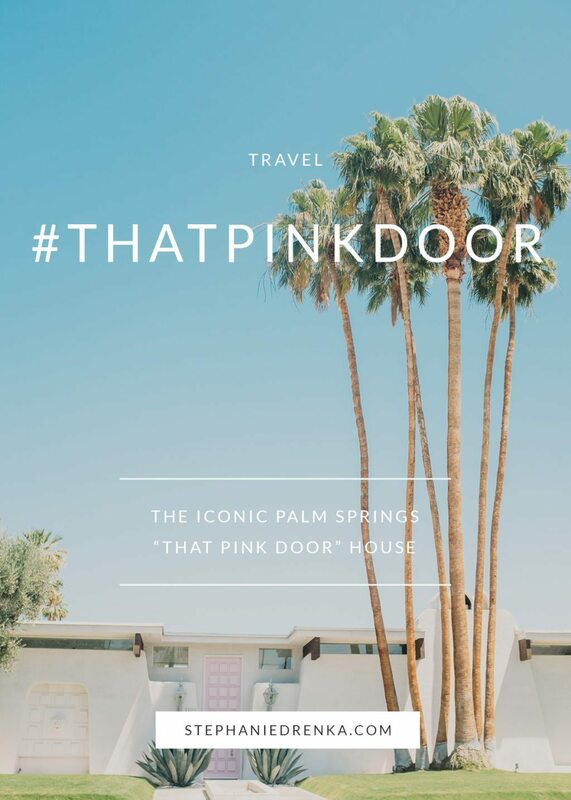 Designed by Columbian-born designer, Moises Esquenazi, the mid-century modern Palm Springs property was (rightfully) named one of Metropolitan Home Magazine’s “Best Homes in America.” It’s become such a social media sensation that it has its own Instagram hashtag: #thatpinkdoor. By the time we reached the infamous house with the iconic bubblegum pink entryway, I think Holden finally got it. 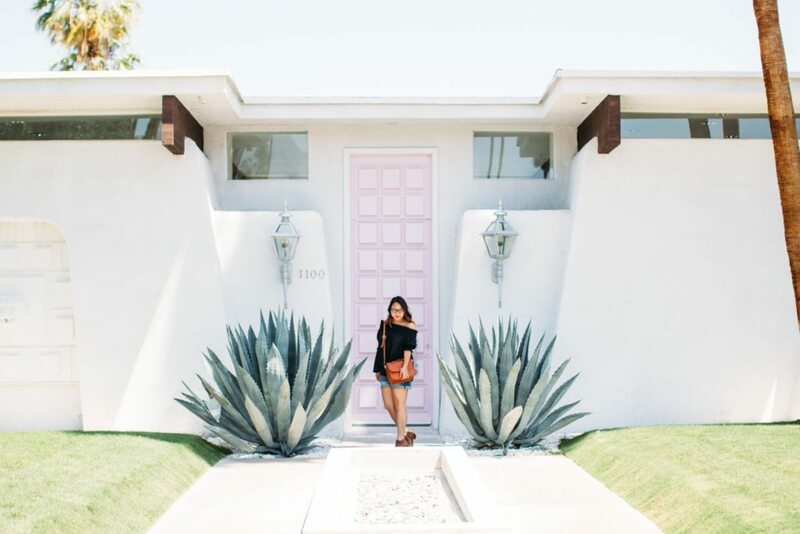 We’ve both been a fan of mid-century modern architecture and design, and previously discussed buying a new statement-color door. I was the one that originally didn’t see the value in spending so much on a front door, but this house convinced me that maybe I had been too quick to dismiss the idea. This pink door gives the otherwise stark (almost sterile) building a vitality of sorts– could a door tell a story? This one, most certainly, could. 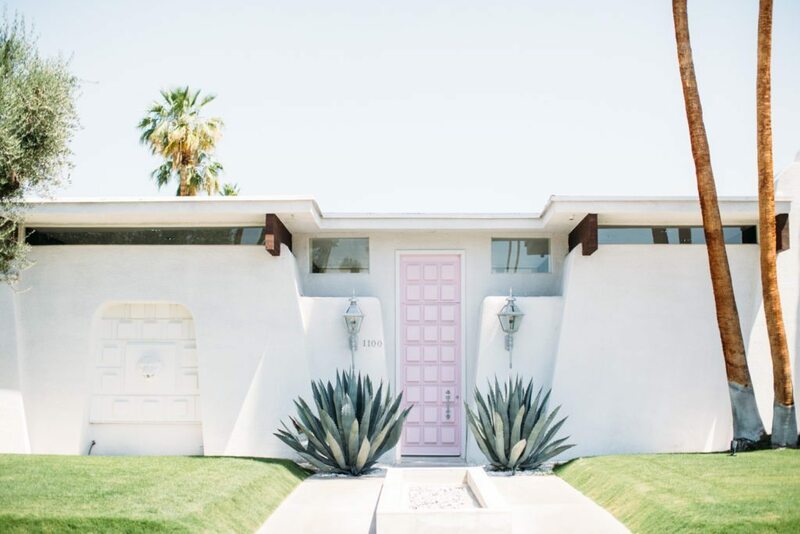 If we had more time in Palm Springs, it would have been fun to do a biking tour of all the gorgeous mid-century homes and try to find “that pink door” spontaneously. But unfortunately, we were trying to make it back to LAX in time for our flight, so we had to do some Google-research. 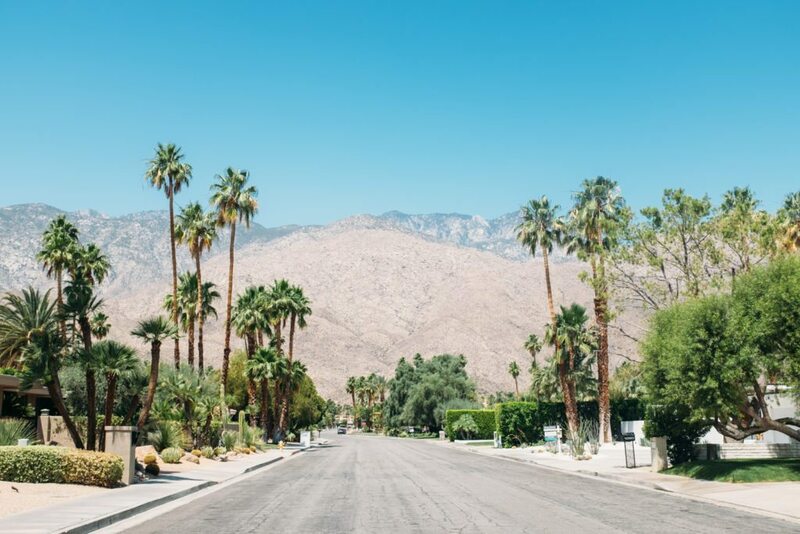 If you’re like us and need to know exactly where to go, the address is: 1100 E Sierra Way, Palm Springs, CA, 92264. Happy dream house hunting!